The teaching of the arts and literacy in schools is often at odds with one another. The desire for schools to improve results on high stakes testing can lead to a narrow view of literacy rather than one that acknowledges the unique and distinct literacies that exist in the arts. With methods of communication becoming increasingly complex, it will be increasingly important for students to be able to utilise all semiotic modes. Developing Literacy and the Arts in Schools investigates this key issue in education and offers a solution to the negative relationship between the arts and literacy. Drawing on interview data and evidence from diverse classrooms, it explores the pedagogies of effective arts practitioners and teachers, and how they relate to theoretical frameworks, to unpack the key elements of effective practice related to literacy and the arts. A model of arts-literacies is provided to assist arts and literacy educators in developing a common language that acknowledges and values these distinct arts-literacies. Themes of multimodality, diversity, aesthetics and reflection in relation to the arts and literacy are foregrounded throughout. 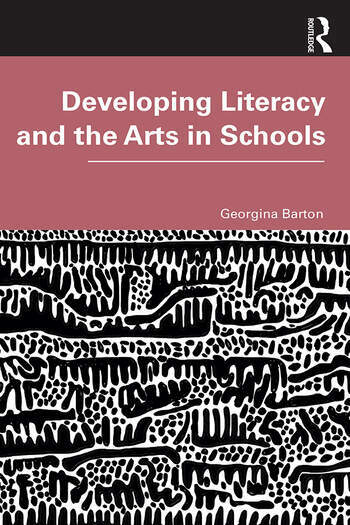 This book will be of great value to postgraduate students of Education specialising in arts and literacy, education academics, teacher educators, and classroom and preservice teachers. Georgina Barton is an Associate Professor at the University of Southern Queensland in Australia. She is the discipline leader of literacies and pedagogy and teaches English curriculum and literacy courses in teacher education programs. Her research focuses on the areas of multimodality, literacies, the arts, and cultural diversity.